Discussion in 'The Doctor's Clinic' started by Moose, Mar 16, 2011. This team is primarily for competitive online play (including the battle subway). I'm still setting it up, and currently have it mixed with my in-game team. Some of my in-game team is actually well-developed enough to be my competitive team, and others not-so-much. I'm asking for advice on how to build it, with the Pokemon I selected. Their natures and their movesets. Most of my Pokemon are around level 50, and I've already beaten the Elite Four so I can easily train and breed for better natures. EV training is advised for Battle Subway and especially for competitive battling, so I'd consider possible EV spreads for your team members as well. A lot of the advice for this team is best found here actually, but for the sake of convenience I'll tell you the intricacies of what you're looking for. - Been over Lilligant in chat with you, so I need not go further on that one. - Chandelure needs a better item since you don't get money in the Battle Subway for one. Secondly, Chandelure is an all-out special attacker at heart - Shadow Ball, Fire Blast and the like are welcomed greatly as is Calm Mind. Timid/Modest nature again works best here as it does for Lilligant. - Leftovers is vastly superior to Shell Bell and can be found in a bin post-E4. Scald and Recover are welcome additions to any Jellicent set, and Shadow Ball is generally preferred over Night Shade. Brine and Surf are unnecessary, you only need one Water-type attack. - You'll want to upgrade Krookodile with moves like Earthquake, Rock Slide and the like. Muscle Band works well enough once you get it for a hold item. - I don't think Gothitelle needs Heal Block really. Something like Calm Mind or even Trick Room would work better for her. - With an ability like Ice Body and an extreme lack of anything better, I'd suggest Hail/Blizzard on Vanilluxe. Flash Cannon actually works out relatively favourably for striking enemy Ice-types, and if you can find space for Mirror Coat or Hidden Power (which you should since I've only given you three moves) stick either one of those on there as well. The thread I hyperlinked you at the top of the post is probably the best source of information I can give you for this, since this is an in-game team trying to move to competitive, and it's the basics that you'll need to push this team over to the competitive side. 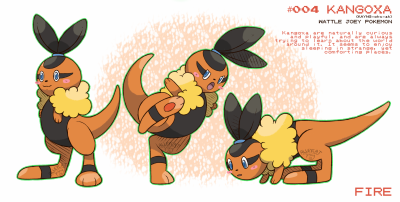 Okay, after doing research and a lot of breeding, I've come up with this. - Jellicent is fine as it is. - Zoroark's hold item is poor. Life Orb would work far better here. Timid is also better than Modest for Zoroark. - Mold Breaker is vastly superior to Rivalry on Haxorus. Haxorus is a wall-breaker at heart for the most part despite being trolled by Skarmory - I generally would go for Lum Berry to block status and Taunt to cripple walls, then crush them with a combination of Dragon Dance, Outrage/Dragon Claw and Earthquake (which works wonders at trashing Levitators with Mold Breaker.) This is one of the few cases where Adamant is probably better than Jolly, since people often throw out foes Haxorus can't outspeed anyway to beat it. - Substitute over Protect on Serperior, Timid nature again, Giga Drain over Leaf Tornado and consider Leftovers as a possible option over Big Root if you find the root isn't working as well as you'd like it to. - You've gone for a mixed set on Emboar yet Adamant drops his Sp.Attack - why? Scald is fun but pointless on Emboar and Grass Knot isn't as good as it used to be now that Swampert's become less common (and you have two Grass-types here anyway.) Finally, Hammer Arm and Flame Charge don't combine too well. Flame Charge is the key to Emboar here, since it lets him go from a slow, bulky attacker to a fast, bulky attacker in the space of a single turn - as such, you want to max out his speed with Jolly and appropriate EV training. Brick Break works better than Hammer Arm in this case since having to repeatedly set up Flame Charge due to Hammer Arm's speed drops will kill you. Wild Charge and Head Smash are my two preferred moves for coverage alongside that, and Muscle Band works better than Expert Belt here overall.